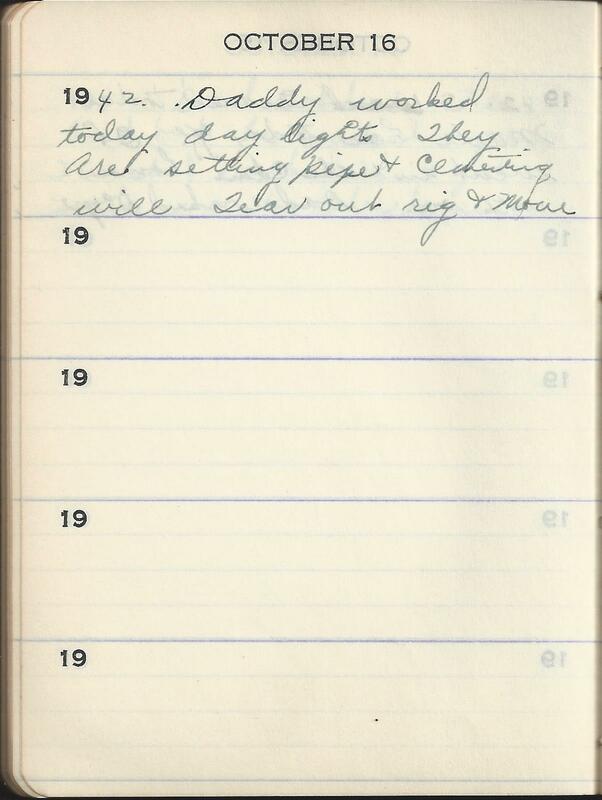 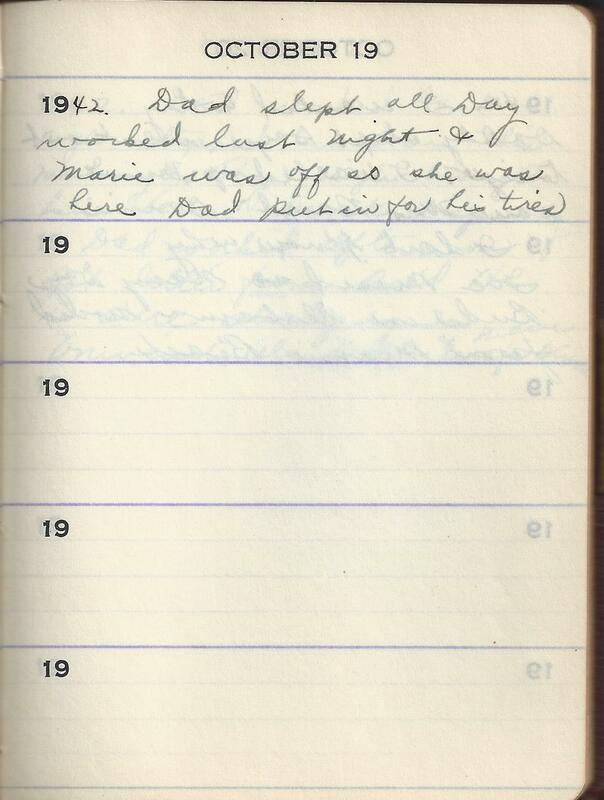 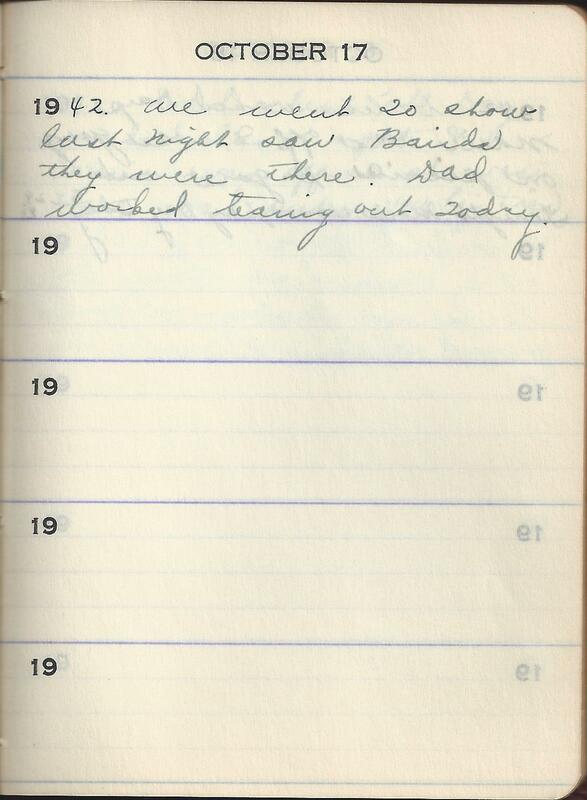 1942 We went To show last Night saw Bairds they were there. 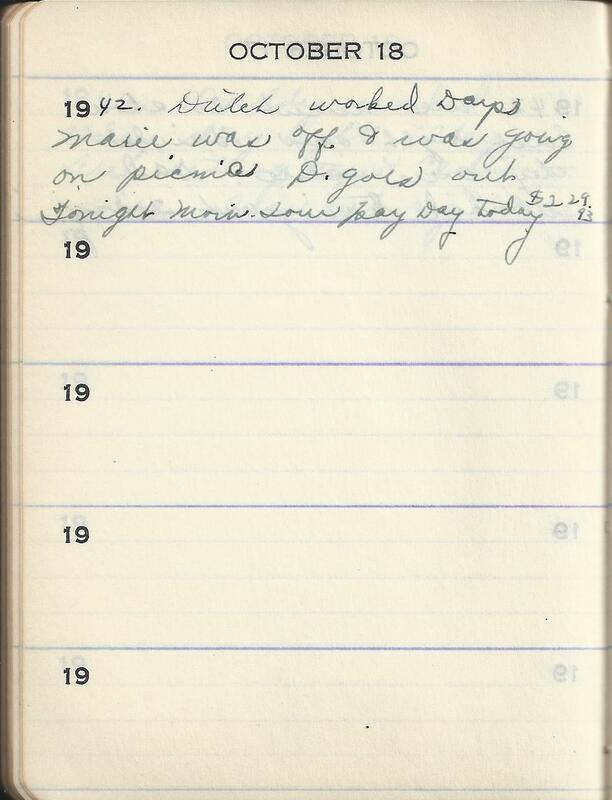 Dad worked tearing out today. 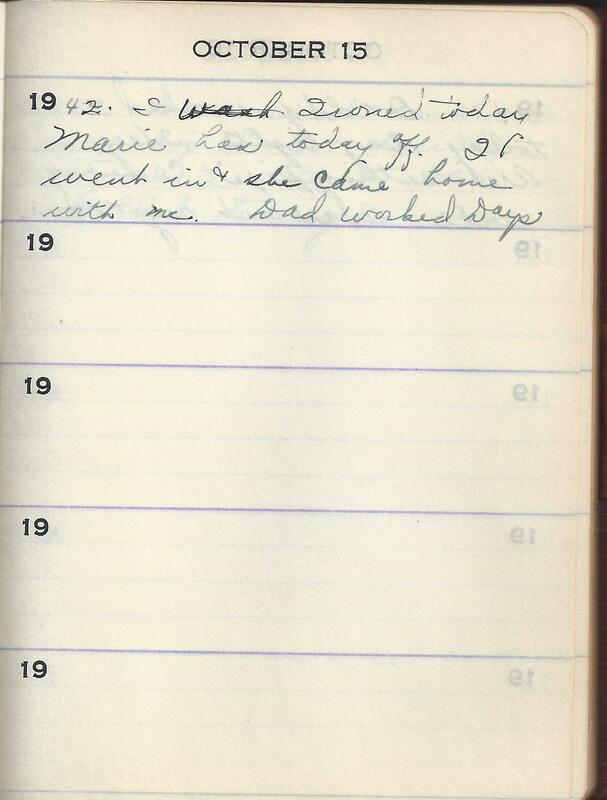 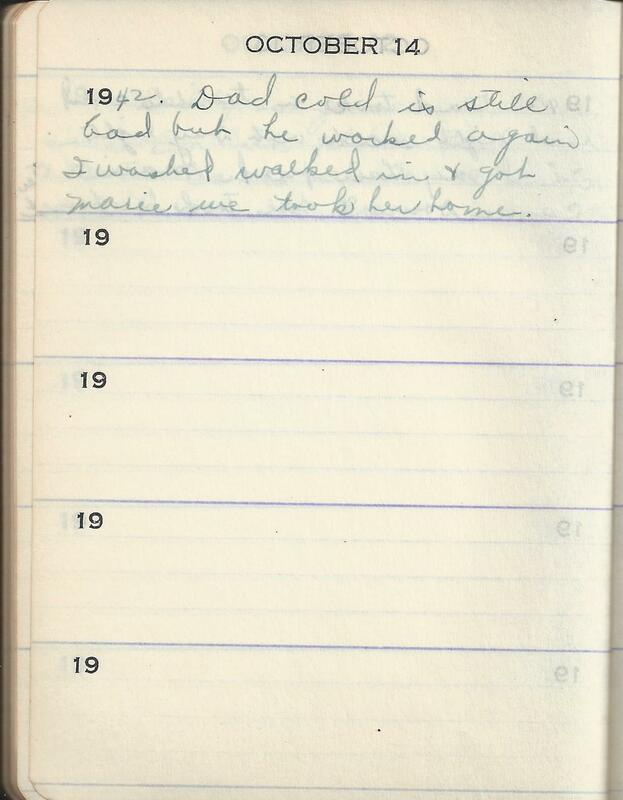 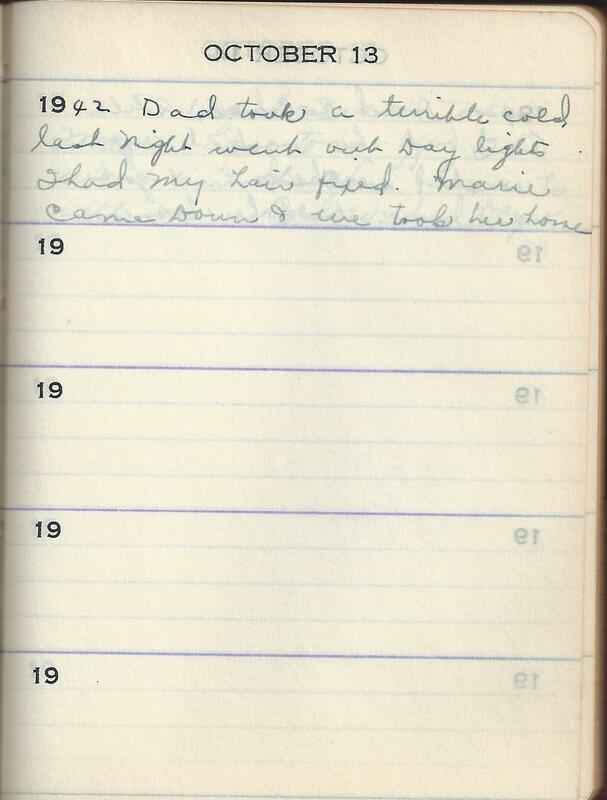 1942 Dad cold is still bad but he worked again I washed walked in & got Marie we took her home.